The National Council for Voluntary Organisations is extending free membership to local Rotary clubs as part of a new partnership. The agreement means that about 1,200 Rotary clubs and groups in England will be eligible for free membership of the NCVO following the completion of an initial pilot scheme, and will have access to advice and support from the umbrella body. The NCVO and Rotary Great Britain and Ireland will also work together on a brand-new event, Volunteer Expo, which will connect up to 6,000 new and existing volunteers with 110 charities and community interest groups. Volunteer Expo will encourage greater involvement in volunteering and social action projects, Rotary said, and the NCVO will be the official charity partner for the event. The event will take place between 1 May and 3 May, and feature more than 100 charities. 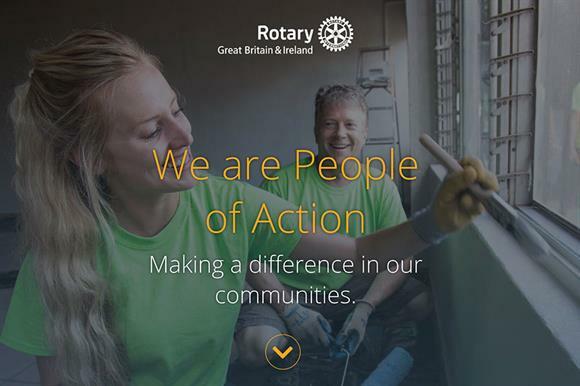 Sir Stuart Etherington, chief executive of the NCVO, said: "Rotary is a tremendous force for good in helping people connect with their communities and empowering them to make a difference. "We’re excited to be making our resources available for Rotary clubs and to be the official charity partner for Volunteer Expo. We look forward to supporting the event to further increase the impact volunteering has in our communities." Amanda Watkin, general secretary of Rotary Great Britain and Ireland, said: "We’re incredibly excited to be bringing Volunteer Expo to life in 2020. We know that volunteering plays a huge part in our society and transforms the lives of millions of people around the country every single year. "We’re delighted to be partnering with the NCVO and welcoming it on board as Volunteer Expo’s official charity partner. We encourage all NCVO members to join us at the event as exhibitors, visitors and as part of our exciting programme of workshops and seminars."